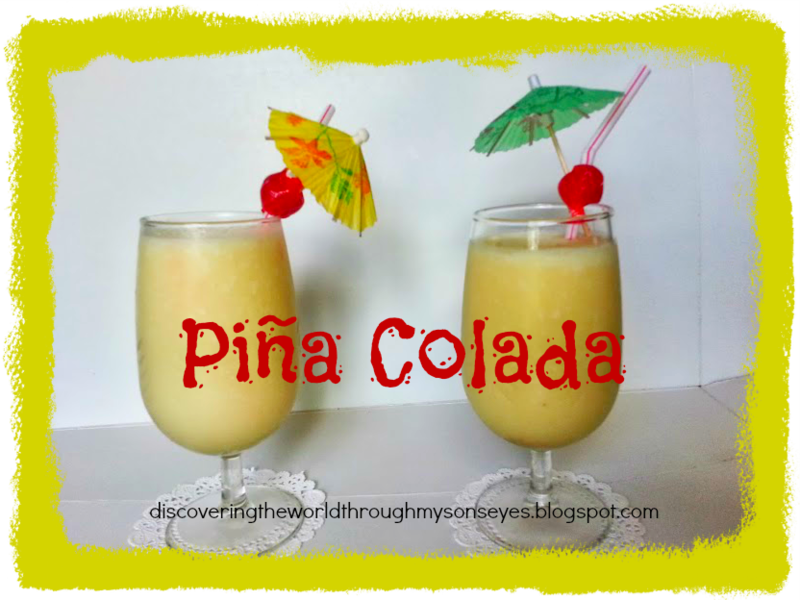 Of course, the piña colada is a cocktail that has rum in it, but I make it without! It’s just as delicious. 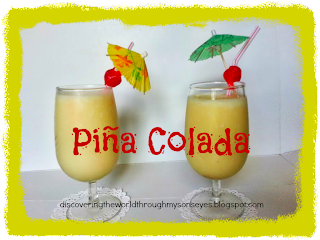 It’s like having a slushy explosion in your mouth from the sweetness of the pineapple and coconut! Oh so sweet, and delicious. It’s also so refreshing during the summer or any other time. There are a few recipes out there, but I mine is super simple! The best thing is that it’s kid friendly! Put in the blender and mixed until ice is crushed. It’s the perfect recipe for kids! 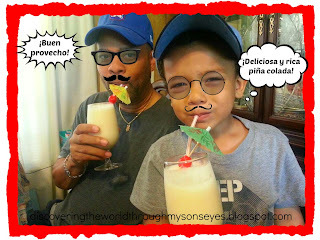 What fun, and delicious beverage from your culture do you share with your family? Please comment, like, share or pin! I love that photo and these recipes sound delicious! I'm pinning this and I can't wait to taste one. Looks delicious! Will definitely have to make some this summer! Thank you Marie! It is delicious, and refreshing! Thank you! 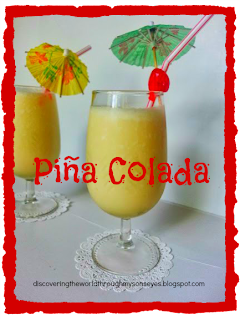 It's a simple and yummy recipe! Hi Liz! 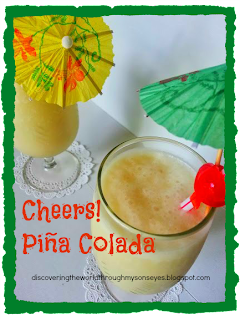 Thanks for stopping by, and I love that idea of the coconut juice, and shavings…. mmmm yummy! Ooh, I love this! We just came in from an afternoon outside, so this looks especially good right now! And what a cute photo 🙂 Silly question – what's cream of coconut (vs. coconut milk), and where do you find it? This looks great! As I don't drink alcohol, I think I'm going to be making it for myself quite a few times over the summer.